Change your Cabin/Pollen Filter Recently? 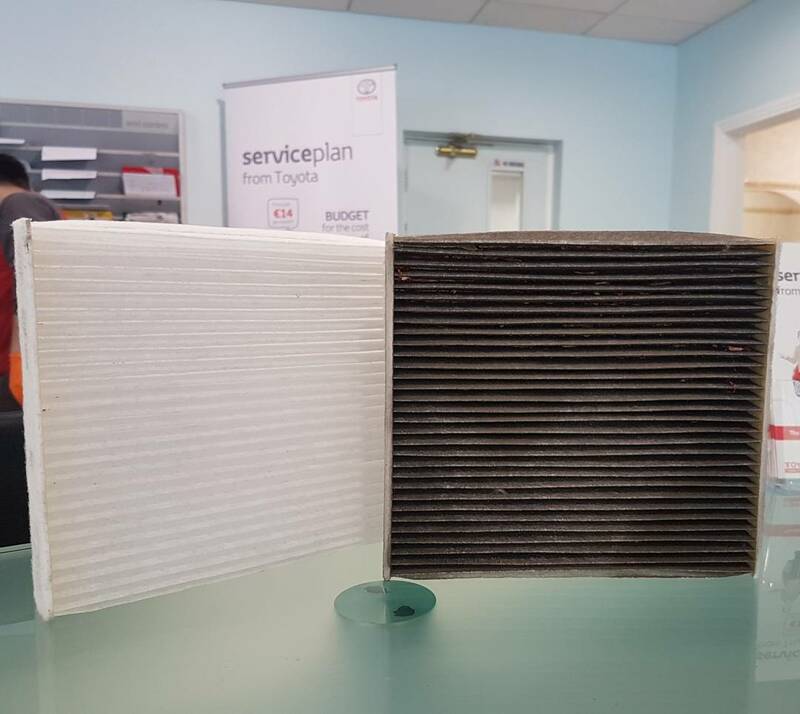 The Cabin Air Filter / Pollen Filter, cleans the air that comes into the interior of the car through the heating, ventilation and air-conditioning system. It catches dust, pollen and other airborne material that can make riding in a car unpleasant, particularly if you have allergies or other respiratory problems. The filters can also catch rodent droppings, leaves and other unwanted debris. By keeping the pollen filter clean you can help improve the performance of your ventilation or air conditioning system. How often do I need to replace the Cabin/Pollen Filter? The Cabin/Pollen Filter needs replacing after 30,000 km / 2 Years whichever comes first. This photo shows a new pollen filter and one which is due a change, you don't really want to breathe air filtered through that do you? Used Genuine Toyota Parts for your Toyota and give it the TLC it deserves.